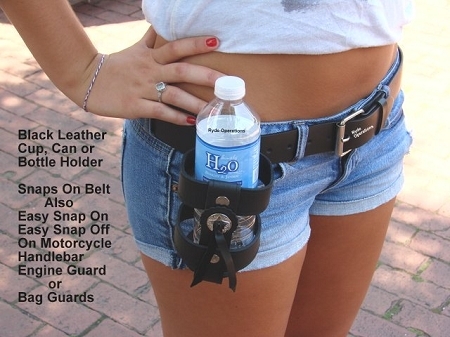 Unique design allows you to easily attach and remove the holder to your Belt or your Motorcycle. 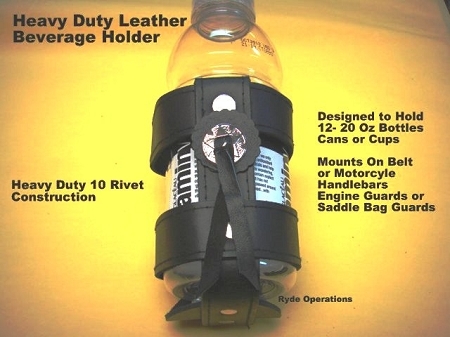 Cup holder is made of a sturdy, stiched leather with two snaps mounting system and features a stylish fringed concho. 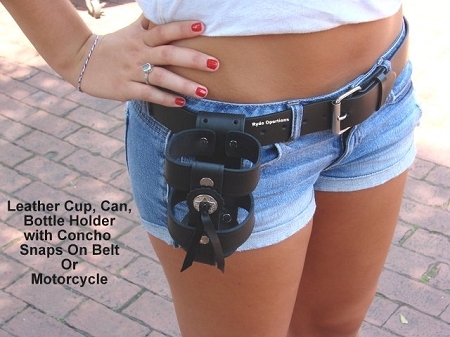 The snaps allow for easy mounting on the your belt and can also be mounted on your motorcycle handlebars, engine guards and saddlebag guards. 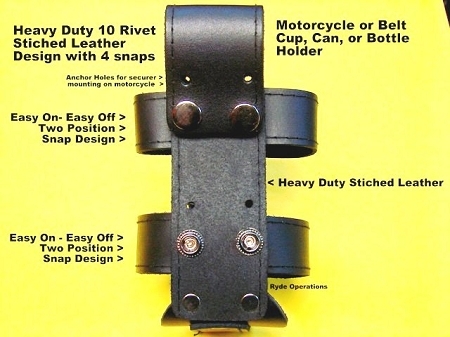 When mounted on on the motorcycle their are small anchor holes drilled in the holder so you can back up the snaps with cable ties (not includefor added security and stability.